Our staff offer assistance to customers on product selection, application and operation relevant to their needs. All staff are kept up to date on the latest products, technology and application knowledge in the automation industry. We at Reynolds Automation understand the cascading affects of a breakdown, including costs associated in Production and Services. Therefore our focus is to minimize your downtime. Our staff in sales, purchasing and logistics will go that extra distance to make sure you are operational in the shortest time. We offer 24/7 service. Our depth of knowledge relating to our products and processes have been amalgamated over four decades of knowledge by our staff. Our expertise on products will assist in making a smooth transitional upgrade to new automation products. 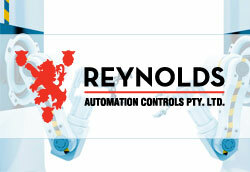 Reynolds Automation Controls Pty Ltd is a family owned Australian company. We understand that in choosing a supplier for your industrial control product requirements, you are choosing a partner with whom you can work effectively, through the product planning, design, selection and implementation process. This also includes after sales service and support. We are a quality family business who have a passion to work with you, to develop your total potential in becoming a sustainable quality customer. In recognition of this, we have introduced a range of customer services designed to ensure that we can react to your requirements in the most effective manner. Let us show you why other leading companies choose Reynolds Automation. The extraordinary response to a major breakdown and the delivery of the spare parts was the best I have ever encountered from any company in automation. From other colleagues this is not an isolated occurrence. Thank you for your technical help and timely support!